“The government’s theory is that Michael Cohen, though a licensed and practicing lawyer, for the most part, didn’t practice law. He was a fixer. He was a dirty trickster,” Napolitano said. “If he is not practicing law — if he’s doing these things some of which are lawful, some of which are at the edge. There is no attorney-client privilege,” he added. “And how are they going to prove that? The government’s going to put Michael Cohen himself on the witness stand today and they’re going to grill him. “A federal judge … will decide [whether] you were practicing law. Therefore, these are privileged. 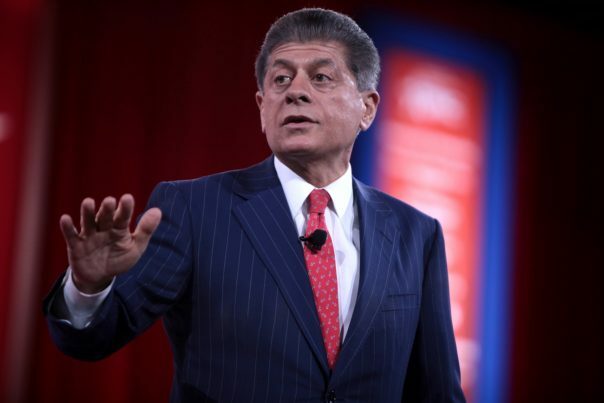 You are not practicing law, therefore, they’re not privileged,” Napolitano continued. The legal analyst said the concept of attorney-client privilege should be preserved at all costs. In court filings in the U.S. District Court of New York, attorneys for Trump said the president — who was granted permission to intervene in the case by a judge on Friday — opposes allowing the government to review materials seized in the FBI’s earlier search of materials seized from Cohen last week.